PENSIONER DESMOND DUFFY walked free from court this evening after being found not guilty of murdering his “abusive” and “violent” partner, 59-year-old Desmond ‘Dessie’ Sullivan. Mr Duffy (70) cried quietly and whispered “thank you” as the jury left the courtroom having spent seven hours and 11 minutes considering their verdict following a nine-day trial. Mr Duffy said from the outset that he was acting in self-defence after his partner of 36 years attacked him in the kitchen of their home. At 4.46pm, the jury returned with their verdict. Justice Paul McDermott thanked them and exempted them from further jury duty for 10 years. He then turned to Mr Duffy and told him he was discharged. Outside court his supporters hugged him as he prepared to return home. The trial heard that Mr Duffy called Garda Maurice Ward, who is married to a niece of the deceased, shortly after 10pm on 23 May 2016 to say there was “trouble” and could he come over urgently. Garda Ward arrived about 30 minutes later and found the already deceased body of Desmond Sullivan in the kitchen. He called emergency services but knew there was no point in trying resuscitation. The accused took to the stand in his own defence during the trial, telling defence counsel Caroline Biggs SC he was not there to blacken Mr Sullivan’s name. “You don’t spend 36 years of your life with somebody you don’t love. We had our problems but Dessie also had his good sides,” Mr Duffy said. He told Ms Biggs that he was defending himself from an attack by his “abusive” and “violent” partner. I feel so sorry for his family, especially his mother who I was very close to, his sister and others but I’m still grieving, devastated and heartbroken by what happened. I have lost my partner of 36 years and I will never ever get over that. Mr Duffy said he stayed with Mr Sullivan despite the abuse and told Ms Biggs that we know of women who stay in abusive and violent relationships and male sexuality is no different. State Pathologist Professor Marie Cassidy said Mr Sullivan died from compression of the neck causing a lack of oxygen to the brain. Mr Sullivan had hypertensive heart disease and a combination of alcohol and Diazepam in his bloodstream which may have contributed to his death, making him vulnerable to arrhythmia of the heart. She found evidence of tiny haemorrhages around the eyes which she said are common in cases involving asphyxiation. She said the haemorrhages showed that the airway was blocked for “some seconds”. Bruising around the Adam’s apple were consistent with Mr Duffy’s explanation that he used a pincer-like grip of the fingers and thumb of his right hand when he reached out to defend himself. The trial heard from multiple witnesses that Mr Duffy had been the victim of domestic abuse for about three decades. Anne Quinlan said she got a lift home from a wedding in Killiney in the mid-1980s with the two men and as Mr Duffy drove Mr Sullivan started punching him in the face, head and upper body and screaming at him. Carmel Savage, a close friend of both men, said Mr Sullivan could be nasty and wouldn’t let Mr Duffy speak. Melissa Farrell recalled seeing Mr Sullivan dancing at the crematorium on the morning of Mr Duffy’s brother’s funeral. Later that day Mr Sullivan dumped a basket of sausages and chips on Mr Duffy’s head. There were multiple other incidents and Mr Duffy said in evidence that he would sometimes stay in a local hotel to avoid the abuse or, if he didn’t have enough money, he would wander the streets. On the night Mr Sullivan died, both men had been drinking in Grace’s Pub in Rathmines and returned home shortly after 9pm. Neighbours heard raised voices with Katie Daffy, who knew both men, saying this occasion was different because Mr Duffy seemed to be arguing back. It sounded like he had “snapped”, she said. Describing the argument, Mr Duffy said that when they got home Mr Sullivan started punching him and pulling his hair. Mr Duffy went to bed, hoping to defuse the situation, but Mr Sullivan followed him, took the bedclothes off the bed and took Mr Duffy’s credit card from his shirt pocket. Mr Duffy went downstairs to get his jacket, but his jacket was gone and Mr Sullivan told him he had hidden it. The row continued with Mr Sullivan punching Mr Duffy and Mr Duffy said he raised his arm, to defend himself, and pushed Mr Sullivan towards an alcove in the kitchen. He said Mr Sullivan was pushing against him but then slid down the wall and fell on his side. Mr Duffy called Garda Maurice Ward and when he arrived he found the body and called gardaí and emergency services. The prosecution argued that Mr Duffy was angry and had decided he wasn’t going to take the abuse any more when he squeezed Mr Sullivan’s neck. Defence counsel Caroline Biggs SC said that her client acted in self-defence and that Mr Sullivan’s heart disease combined with alcohol and drug use made him vulnerable. 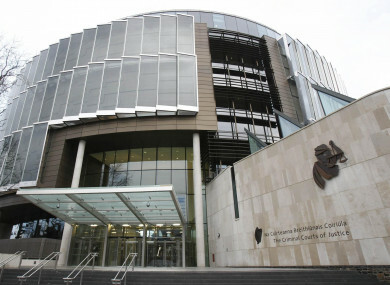 Justice Paul McDermott told the jury that to find Mr Duffy guilty of murder the prosecution must prove beyond reasonable doubt that he intended to kill or cause serious injury to Mr Sullivan and that he was not acting in self-defence. If he was acting in self-defence but used more force than was reasonably necessary he would be guilty of manslaughter, he said. If he was acting in self defence and used no more force than a reasonable person would consider necessary, he told the jury to acquit. Email “Man, 70, found not guilty of murdering his partner of 36 years in Rathmines self-defence case ”. Feedback on “Man, 70, found not guilty of murdering his partner of 36 years in Rathmines self-defence case ”.